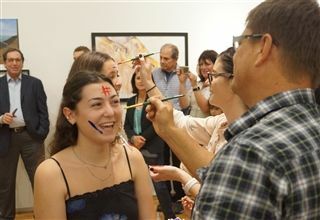 On October 27, Windward inducted this year's art students into the National Art Honor Society. 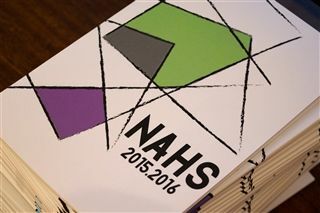 The NAHS is designed specifically for high school students in grades 9-12. In 1978, the National Art Education Association began the National Art Honor Society program to inspire and recognize students who have shown an outstanding ability and interest in art. The NAHS strives to aid members in attaining the highest standards in art scholarship, character, and service, and to bring art education to the attention of the school and community. Click here to view photos from the induction ceremony.